Description: New line of slipjoints from Spyderco meant to tackle on the Swiss Army Knife with multiple non-locking blades and secondary functions. 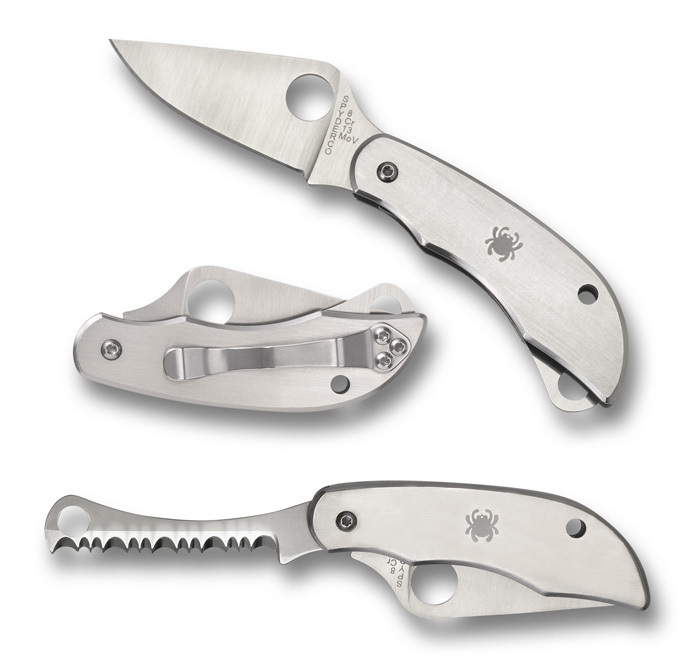 This particular model has two blades, one plain and one serrated. This entry was posted on Wednesday, March 19th, 2014 at 5:22 pm	and is filed under 2" or Smaller Knives, Designer - Eric Glesser, Handles - Stainless Steel, Lock - Slipjoint, Manufactured - China, Steel - 8Cr13MoV, Type - ClipiTools, Type - Folding Knife, Type - Multi-Blade, Type - Multi-Tool. You can follow any responses to this entry through the RSS 2.0 feed. You can leave a response, or trackback from your own site.